While many Lepidoptera species (butterflies and moths) are colorful and fascinating creatures, there is growing concern about an invasive moth that is quickly spreading across the state of Maine. Browntail moths (Euproctis chrysorrhea) arrived in northern Massachusetts in the 1890s from Europe and Asia, and they have since been discovered in many areas around New England. Over the past few years, their numbers have rapidly increased in coastal Maine, and a nest was recently discovered in nearby Crawford, ME, located along Route 9, less than 20 miles south of the Downeast Lakes Community Forest. 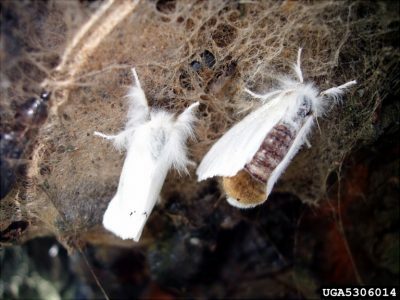 At this time of year, browntail moths can be easily identified by their unique winter nests. Their trees and shrubs of preference are oak, apple, cherry, shadbush, and rosa rugosa, so please cautious when working in the yard this spring. 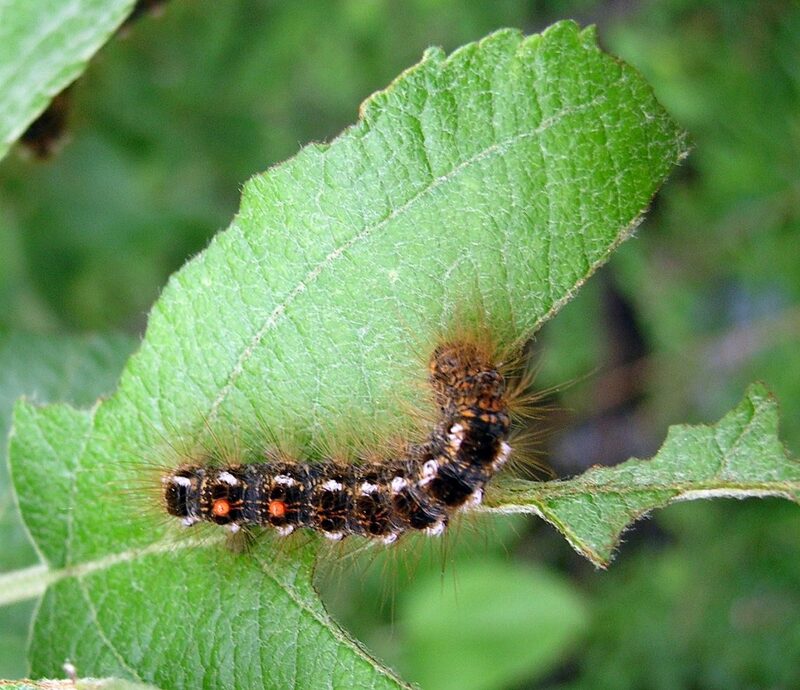 For more information and photos on how to identify browntail moth nests, caterpillars, and adults, and how to properly deal with potential infestations, please visit Maine Department of Agriculture, Conservation, and Forestry’s website, or call the Maine Forest Service at (207) 287-2431.